Hackney Council has led a delegation of 25 of the borough’s “highest growth” businesses to the annual South by Southwest (SXSW) conference and media festival in Austin, Texas. The four-day trade mission (begun last Friday and finishing today) comes at a time when business development policies in the borough are being questioned, due in part to the recent controversy over the council’s use of funds earmarked to regenerate failing commercial / business areas over the long term. As reported last month in the Hackney Citizen, out of the £2m fund made available for riot affected businesses and property owners in Hackney, £1.5m is being used to build a new up-market fashion hub on Morning Lane. A statement from the council said the Texas delegation – led up by three council representatives – was of no cost to tax payers, though it did say it played “a key role in facilitating this platform by bringing together businesses and sponsors to make this event happen”. 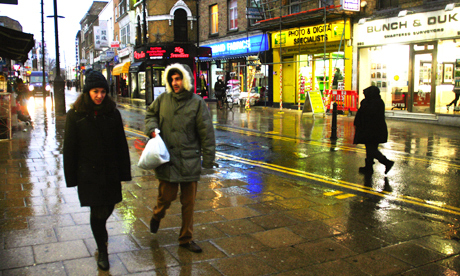 Business people in the borough who have accused the council of focusing its efforts away from Hackney’s smaller, indigenous traders may not be dissuaded from their claims due to the fact that the trip is aimed specifically at “tech and creative” style businesses and is being led by the arm of Hackney Council tasked with regeneration. The council’s statement went on to say: “The trip will also seek inward investment into the Borough by trying to encourage companies that want to move to London to locate to the key Hackney tech and creative sector locations such as Shoreditch, Dalston and iCity in Hackney Wick. Hackney resident and Conservative London Assembly Member, Andrew Boff, said: “The council are talking about the need to encourage inward investment, but they should invest in the businesses that are already here. “I’ve got nothing against the high-tech industry, before I got in to the London Assembley that is the job I was in, but that’s all [the council] can see is high tech industries moving in to Hackney. “The trouble is they’re falling over themselves to be high tech, they don’t give a stuff about small businesses, they can’t stand small businesses, they think they’re just an annoyance and the people they are really pursuing are big businesses,” added Mr Boff. However, Cllr Guy Nicholson, Cabinet Member for Regeneration, said: “High-growth does not mean ‘big businesses’ – the majority of the companies heading over to SXSW are small, local businesses. “These businesses are choosing to base themselves in Hackney over other areas of London and are providing opportunities to local residents. The 25 companies that the council worked with in organising the trip are described as the borough’s “top performing creative and tech businesses” – as measured by their business activity index – and are also “those who have shown high levels of talent and growth in this market place”. Hackney House Austin is the name that was given to the 3,000 plus sq ft of exhibition space that housed the borough’s businesses so that they could “capitalise on the Hackney brand which now has a growing reputation overseas”. In another statement prior to the trade show, the council said their invitation was extended to “any Hackney business that wants to use Hackney House Austin to promote its business”. Hackney Council will now conduct “a major evaluation” of the trip to “see whether it has worked and generated new business and jobs for local people and local companies”. Note: This article was amended at 12.30pm Tuesday 12 March 2013. A Hackney Council spokeperson had previously told the Hackney Citizen that £2m was secured from the GLA as part of their riot regeneration funding. A Hackney Council spokeperson has since told the Citizen the GLA funding of £2m was not a compensation fund for damaged properties, but supposed to regenerate failing commercial / business areas over the long term.